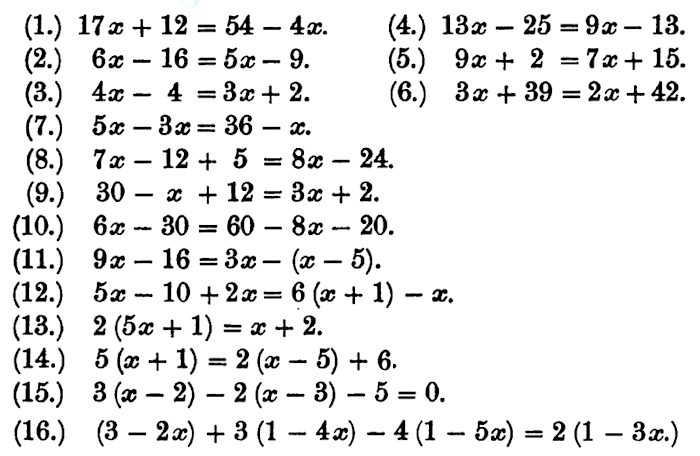 Solve these linear equations that appeared in a book called A Graduated Series of Exercises in Elementary Algebra by Rev George Farncomb Wright published in 1857. This is level 1: questions 1 to 16. You can earn a trophy if you get at least 10 questions correct and you do this activity online. Basic Equations - Start here if you are a beginner.